Change the way you protect your trailer investment with the Engager break-away system! 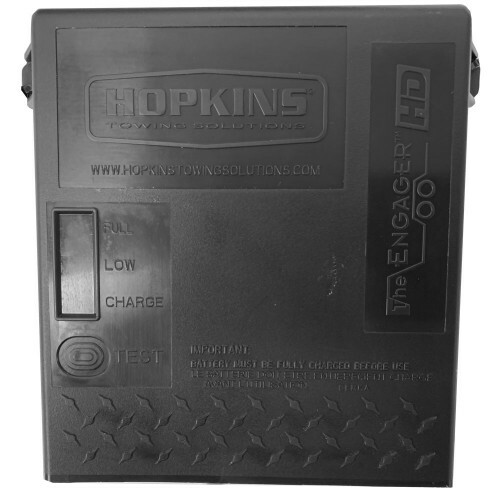 Push button battery tester lets you know your break away system is ready to go. Built-in battery charger charges battery while connected with the tow vehicle. 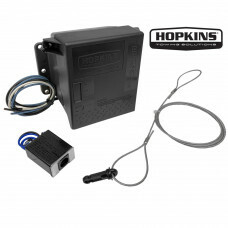 Kit includes a break-away switch and cable and three mounting bolts. For use with trailer equipped with up to 4 trailer brakes. 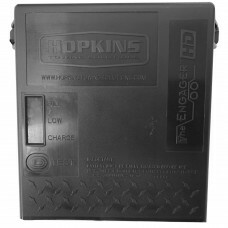 Includes a 5 Amp 12VDC rechargeable battery. Break-away kits activate trailer brakes upon separation from tow vehicle. Most states and provinces require trailer break-away kits. HOPKINS BREAKAWAY SWITCH PLASTIC HOPKINS # 20005	Durable Pin And Vehicle Hook-Up CableWeatherproof Design7 inch wires48 inch pin and cableWeatherp..